My grandson and I use this book all the time. It has all the info we need while looking at birds in our backyard. Great book for helping you to identify all those interesting birds you enjoy seeing in your back yard! The pictures are as good as I have seen in any bird book and a lot better than most. I got this book originally at the Public Library and loved it. I found it on Amazon and bought it for me and my son. We enjoy watching the birds and identifing them. This has been a nice little book to have to figure out the duck and bird breeds I often see around Lake Washington.Once or twice, I wasn't able to find a breed, but a pocket book can't include variety that might visit the area.I would recommend it, but tell people that they may eventually want a second book to cover what this one doesn't.Over all, it's a great book and the size makes it easy to carry around. 1.I'm not sure why most of the guidebooks on the market today are 5x7" or 6x9" (or even bigger, gasp!) as none of my clothes have pockets even close to being able to handle them.This book fits comfortably even in myjeans or raincoat pocket, which makes it easy to take just about anywhere.And the cover and binding is thick and rugged, and has held up to some fairly thorough abuse. 2.I love the fact that there's one bird per 2-page layout with a detailed, full-page, full color photo on the left (some pages have 2 pictures to show a difference in sexes or plumage) and a color-coded (by taxomomic family) description on the right with all of the important identification points in bold text.Right after the overview, the authors not only provide list similar looking species but are thoughtful enough to briefly describe the differences and even include the page number references! Its extremely quick to thumb through the book in the field and zone right in to the bird I'm looking for. 3.I really dont understand the popularity of guidebooks that cover every bird that ever set foot (or wing) on the continent or some other huge geographical region.This book only covers the birds around my area, so I dont waste time with all the related species that have never been seen within a day's drive of here.I initially thought this would only be useful for the King-Pierce-Snohomish county region, but after looking at the map in the preface and the generous 200+ species coverage, I've found it to be applicable to most if not all of Western Washington. 4.The one thing would improve the utility of this guide would be the addition of month-to-month or seasonal abundance charts similar to those at birdweb.org (and numerous other sources).The rough textual description of a bird's expected seasonality and distribution is a poor substitute for some kind of simple "at a glance" chart. In summary, this is the one guidebook I never leave home without.Hopefully the authors continue to expand the series as a perfect companion volume would cover the birds of Eastern Washington. A succinct but fun review of common night sounds. Excellent audio, and the narration is just enough to keep the entries from being too "rapid fire" and boring. I imagine children would also find the CD engaging to listen to in the car. If you have purchased other Lang Elliott audio compilations and found them too "disjointed" (ie-just a name and sound), this is the better alternative due to slightly more narration that lends the feel of a true "tour". The selections are for very common animals that are not esoteric or regional, so inevitably you will end up smiling and muse, "So, THAT is what I heard on my walk last week!" I do not know Lang personally, but the CD emits the vibe of a well crafted labor of love and appreciation for nature. Night has always fascinated, and sometimes terrified, me.Blacklighting for moths alone in the Davis Mountains I heard in the distance the lonely calls of a group of coyotes - a sound that both thrilled me and made me uneasy.The sounds of a poorwill echoing through the canyons of Baja California's Sierra de la Giganta and whiskered screech owls near Geronimo Pass in the Peloncillo Mountains of Arizona-New Mexico gave the night a character that I will never forget. 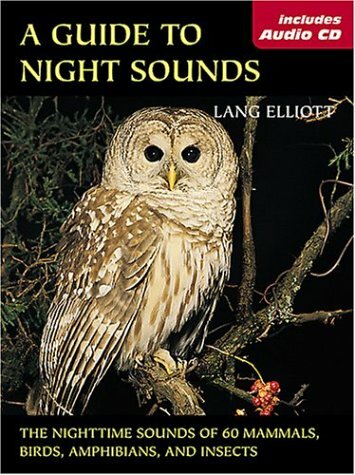 My daughter gave me a copy of "A Guide to Night Sounds" for Fathers Day and I must say that it was great to hear some of the creatures I have heard on well-remembered nights and some that I have never heard, but hope to some day.Lang Elliot is a good narrator and does a great job of explaining the various sounds and behaviors associated with them. My only complaint (and it is one that I'm sure many have) is that this just gives the listener a sampling of the huge variety of sounds one hears in the night.Around my house I hear night songs, not only from the mockingbird (which Elliott mentions along with the actual recording of a catbird), but also its close relative the curved-billed thrasher, which he implies has no night song.In recent times their night time chorus has been joined by the hoot of the great horned owl and in the close distance the wok of the black-crowned night heron. In rain storms both spadefoot and Bufo toads make considerable noise from the nearby fields.The list could go on and on, including broad-winged and cone-headed katydids, the barking of grey foxes and the chittering (just audible to some younger folk) of bats.I suppose that it would be hard to include everything and this CD contains a great sampling that leaves you with the wish for more.As in all of these works there seems to be a bias toward the eastern United States, but again this is where most of the people who work with animal sounds live, so I can't be too critical,I can only say that one day I hope a similar recordingand book will emerge for mostly western creatures of the night. I recommend this for those who would like to get at least a taste of the real night in nature. I bought a book that comes with a CD:the CD is defective.It can no be played.I have written two letters asking what should I do. I want the product, but a need a CD that is not defective.No answer from Amazon. I am very dissapointed.I am not buying another product until this matter is solved. If you live in the woods or country and are curious about what goes bump in the night, this book and CD will explain those noises. We kept hearing a wonderful creature but had no way to identify it. Turns out it was a screech owl (they don't hoot nor do they screech). This book has also helped identify several frogs & night birds. As a bonus, Lang has a very pleasant voice and the CD is well made. Get ready for the most groundbreaking entry to date in the bestselling Birdsongs series (more than 400,000 copies sold!). Birdscapes delivers an immersive birding experience never before seen--or heard--in any book. For the eyes: seven elaborately engineeredfull-color pop-ups portraying dozens of bird species in diverse North American habitatsfrom the Alaskan Tundra to a Southeast swamp. For the ears: extended recordings of the birds' calls and songs in stereo from the collection of the world-renowned Macaulay Library at the Cornell Lab of Ornithology. For the serious birder: scientifically accurate illustrations of the birds and moving text about their fragile ecosystems. This beautifully crafted volume is a visual and audio delight! Q: When did you first become interested in birds? A: When I was 11, my father and I rescued some pigeons from a poultry truck in San Francisco's Chinatown. I spent a lot of time in the backyard coop, watching the pigeons as they courted and raised their young. It was amazing to realize all this drama was playing out with wild birds everywhere, too, and to have the opportunity to study it. Q: What's your favorite bird song and why? A: My favorite song is that of the Scott’s Oriole, featured in the desert scene of Birdscapes. Hearing that clear, bubbling melody in the desert is an unforgettable experience. Q: What was the best thing about working on Birdscapes? A: It was exciting to go from the ideas and bird lists for each soundscape to seeing and hearing this three-dimensional product as it emerged from the minds of the artists, editors, and sound engineers. It was incredible to see the artists' sketches transform into complex and ingenious pop-up scenes, and to experience how precise recordings for each bird were blended to evoke the soundscape. Q: Have you visited all of the seven different bird habitats featured in Birdscapes? 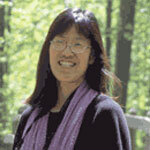 A: Of the seven habitats, I'm most familiar with the desert, where I studied birds during 1995-2000, and the eastern deciduous forest, which is right outside my office window. I have visited the Great Plains and Pacific evergreen forests. I have not been to the Arctic, a southern swamp, or a seabird colony. In writing those scenes, I benefited from the insights of my colleague Gerrit Vyn, the Cornell Lab of Ornithology’s audio production engineer, who selected the recordings, including some that he had recorded on recent expeditions to these habitats. Q: Which habitat in Birdscapes did you enjoy writing about the most and why? A: Actually, there were two that I enjoyed the most--for completely opposite reasons! I loved writing about the desert because I had spent so much time there, and remembered the sights and sounds so vividly. And it was great fun to write about the seabird colony because that was something I had never experienced before—and I was completely surprised by what I learned. Whether an individual seabird's voice or thousands, the sounds are awe-inspiring, and the birds have such an interesting lifestyle as they all cram on to a bit of rock for the breeding season. Q: Are you a daily birder or a weekend birder? A: I'm an opportunistic birder! I'm always watching and listening for birds around my house and neighborhood. But in between work and spending time with my family, my focused birding these days happens irregularly, on the spur of the moment. My office at the Cornell Lab of Ornithology overlooks Sapsucker Woods, so I sometimes slip outside to look for birds after getting an email alert about a good migration day, or when I notice people outside my window pointing up at the trees. Q: Do you have any suggestions for beginning birders? A: Invest in a pair of binoculars and practice becoming comfortable with them. It will open up a whole new world, enabling you to see many more birds than you may have even realized were around you before. Spend time getting to know the different kinds of birds you see, the reasons for their behaviors, and the many kinds of sounds they use throughout the year. Click on each image below to see a larger view of the page. 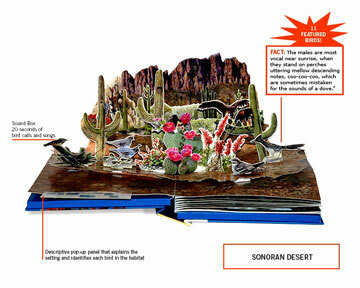 This is one of the most beautiful pop=up books I have ever seen.Plus the natural sounds that accompany each habitat give you the feeling of actually being there.If you are looking for a gift for a family with kids, you can't beat this book.Everyone loves it regardless of their age. i was deeply disappointed that both "Birdscapes" books were damaged.When opened they had mold and the music that accompanies each book did not work. I received the book in a damged carton. When I opened the box, the book was also damaged.I contacted Amazon online and was informed that the book was out of stock, could not be replaced but I could get a refund. When I checked availabily of the book later, I noticed that the book was still avaiable but at a higher price than I paid for it. I was annoyed that Amazon would not replace the book, even if the price had increased, because I have been a loyal and frequent customer.I did get the refund but the process left a bad taste in my mouth. 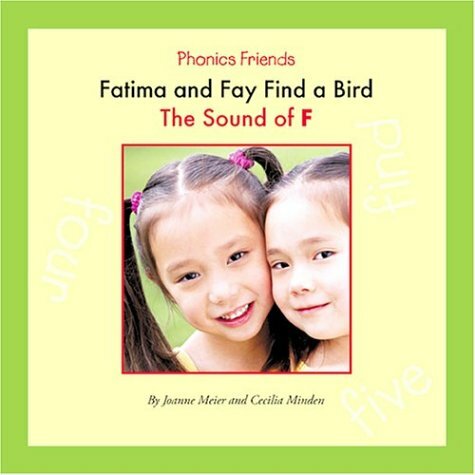 The book itself is amazing with realistic bird sounds and wonderful illustrations. Birdscapes is a complete class on ecosystems in a basket. For 3-6 grades. 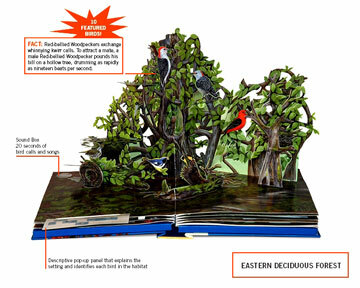 If you want to explain the essential differences between different eco systems this Pop Up book is like portable dioramas with sensurround sound.Children are amazed and captivated by the settings, and the amazing sound helps explain that each eco system has its own particular character. This is something that is impossible to explain verbally, or even just with pictures and movies. This book transports you into the environment you wish to explore. And the detailed information is extremely useful for the more curious. Are you ready to soar? 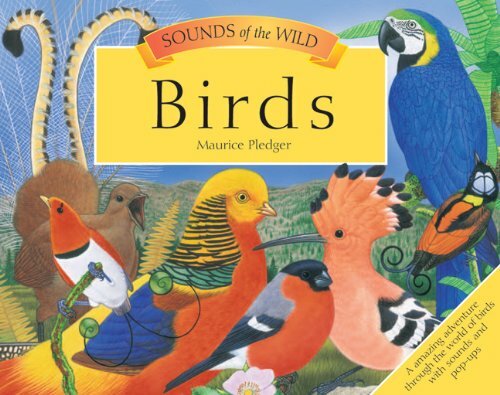 Young readers can let their imaginations take flight in Sounds of the Wild: Birds, the extraordinary new title from acclaimed illustrator Maurice Pledger. Five dazzling 3-D pop-up panoramas are enhanced with real bird sounds, bringing the wondrous world of birds to life. With colorful, detailed artwork and informative text, this book takes readers on a journey across the globe — from lush wetlands and tropical forests to remote deserts and mountains — to discover all types of birds big and small. Now in its second edition, Sound and Sentiment is an ethnographic study of sound as a cultural system--that is, a system of symbols--among the Kaluli people of Papua New Guinea. It shows how an analysis of modes and codes of sound communication leads to an understanding of life in Kaluli society. 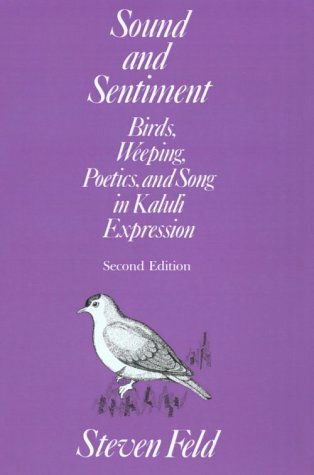 By studying the form and performance of weeping, poetics, and song in relation to the Kaluli natural and spiritual world, Steven Feld reveals Kaluli sound expressions as embodiments of deeply felt sentiments. For this second edition the author has updated his original work with a new, innovative chapter that includes an interpretive review by its subjects, the Kaluli people themselves. He has also written a new preface and discography and revised the references section. 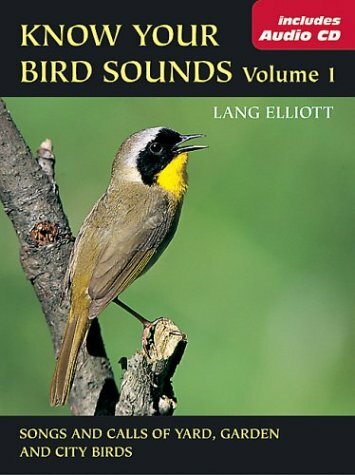 This book is an exploration into various aspects of bird sounds.It contains 12 chapters, covering such topics as bird communication, bird sounds, songs, moods, song learning, dialects, variations, songs as identifiers, mimicry, and birdsong research.Jellis begins by observing the purposes of bird sounds, pointing out that characteristics of bird sounds are dependent on the birds' environment.She notes that more intricate sounds are common in areas with lush foliage, where birds must sing in order to let others know where they are.She enumerates the times when birds sing, such as when trying to attract a mate, warning others of a threat, or expressing pain or satisfaction. She also describes how the social organization of each species affects the sounds they make.Throughout the book, song samples are represented with sound-spectographs, and the birds described in the text are illustrated with black and white drawings in the margins.At the end of the book are suggestions for further reading organized by chapter, endnotes for cited sources, and an index of species mentioned. 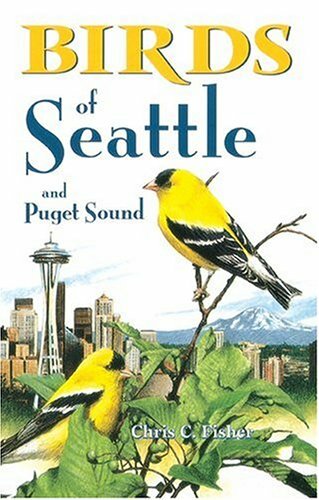 Birds of Seattle and Puget Sound is our most used identification source.We are beginners, and get confused with tomes which identify every bird in North America.This little book brings us the instant joy of identifying our flying guests while they are still at the feeder or bath.We appear to be "experts" to our house guests who marvel at the variety of birds visiting our yard. This in an excellent book for the birds in this area.My 5 year old can identify all the birds in our backyard and can easily look up the new birds that come around.A must for parents who have children and birdfeeders. Great book for begininng birdwatchers! Listening to the birds and other creatures on this CD takes me back to times spent in the backyards of my homes in Massachusetts and Connecticut. It's a relaxing CD with sounds of rain, crickets, tree frogs, a thrush, robins, and other furry creatures. I love to write as it's playing. I was wanting just the bird songs with no music so that I could play the CD on the porch to pretend the real birds were there. This is my new favorite CD! If you're looking for nature sounds without any distracting music to get in the way, this is the CD for you.You start out with morning bird songs.Beautiful without being noisy. You'll come upon a babbling brook, more birds and some frogs thrown in for fun.As you continue your walk thru the forest, it starts to lightly rain...some thunder rumbles across the sky.As you continue your journey, dusk begins to fall and the night sounds begin.This is a beautiful, beautiful CD! It reminds me of how beautiful and precious the Earth is.Another thing I really like is that this is one long track. 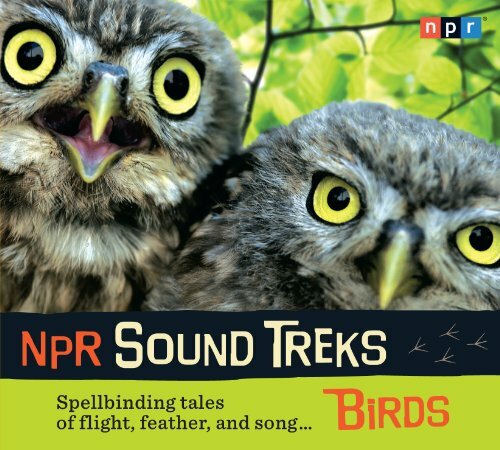 You can enjoy an entire day in the forest without any breaks in the sound.If you enjoy bird songs and other earth voices, buy this CD!...You'll love it! Can whales communicate across miles of vast ocean? Can elephants talk to one another with sounds we cannot hear? These are the kinds of questions that drive the work of acoustic biologists. Follow three creative scientists—Christopher W., Clark, Katy Payne, and Bill Evans—as they research why and how animals communicate. Through remarkable photographs and stories about all sorts of animals, this book celebrates the challenges of lab work and fieldwork and the thrill of discovery. 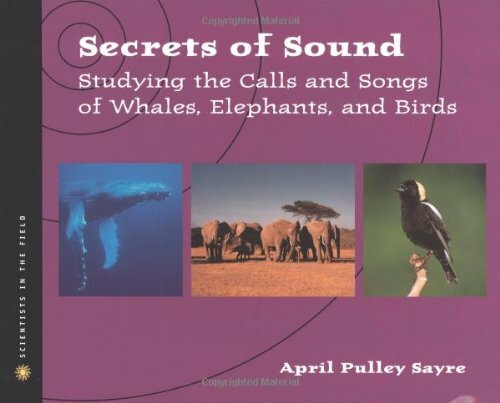 This book and CD are excellent.The various bird sounds are presented with explanation and pneumonic to help you remember.The amount of information is just right to make the described call meaningful. 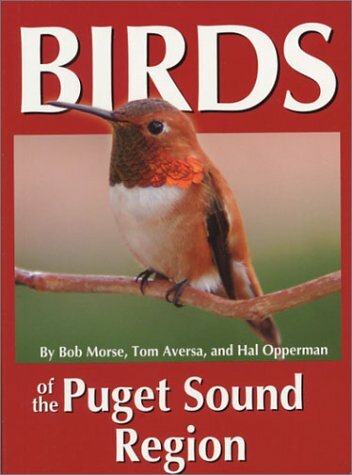 I used this book/CD (and Volume 1) when I first became interested in identifying the birds around my property. (You need both to cover most of the birds you will hear if you live in the country.) It educated me to the variety of sounds a species may use in different situations, plus the variations of different individuals.As I've become familiar with my bird population, I enjoy relistening to the CD to absorb more about what I'm hearing and each time I gain new insight into bird society. The recordings are outstanding, with each preceded by a brief explanation and something like 'Here are two songs from one male' or 'three songs by three different males.' I've never heard this approach on any other CD and it really helps. If another bird can be heard in the background of a recording, it is identified so as not to confuse. 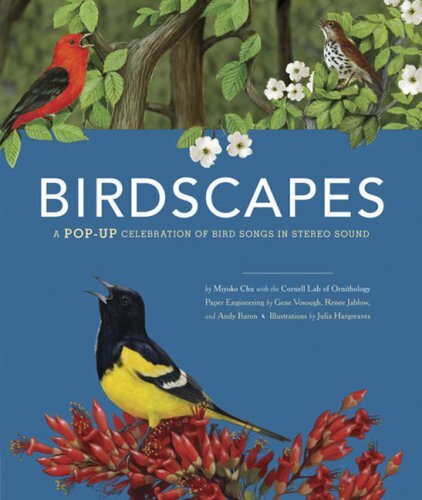 I can't say enough good things about this book/CD set.The accompanying book includes one full page photograph of the male bird in a common perch of choice and written description of the calls with pneumonic so you can remind yourself of the call when listening to the CD isn't convenient. Sitting on my deck listening to the lovely song of the Wood Thrush as it whiles away summer hours on its nest is a great pleasure.I rarely see a Wood Thrush, but I know it's over there.We're geared to sight identification of birds, but the symphony of sound is equally enchanting.I highly recommend this item to those who want to appreciate more of what they hear from their local bird population. The book and recording arrived quickly and were what I expected. I think they are very good and I'm getting the experience from them that I expected. I decided to get serious about learning bird song for the Eastern US but had a hard time figuring out which CD to buy.What I found was no one CD does it all, they all have pros and cons.I ended up with 4 CDs -- and a DVD.Below is my take on them.In the end, while it took a bit of persistence, learning bird song has been an extremely rewarding experience, adding a new dimension to any walk. I started with Feith's Bird Song Ear Training Guide: Who Cooks for Poor Sam Peabody? Learn to Recognize the Songs of Birds from the Midwest and Northeast States (1 CD).The big advantage of this CD is that it gives the song/call first, and then identifies it.So you can download the clips to an iPod, set it on random, and constantly test yourself.It covers 189 species, which is a lot.Finally, the narrator has a pleasant voice and often gives mnemonic suggestions (e.g., "Over here dear" for the Baltimore Oriole).This CD has two big disadvantages.First, many of the songs/calls are very short (many less than a few seconds).Second, there are very few songs/calls given for each bird (usually only one or two).In retrospect, they simply tried to cram too many birds onto one CD. These two defects greatly undercut the value of an otherwise good disk.Also, the birds are coupled so that if you download clips and try and randomize them you will always get the same two birds paired in the same order (the birds are ordered by alphabet).This makes it hard to learn the second birds based solely on the song of the bird - the Turkey always comes after the Towhee. 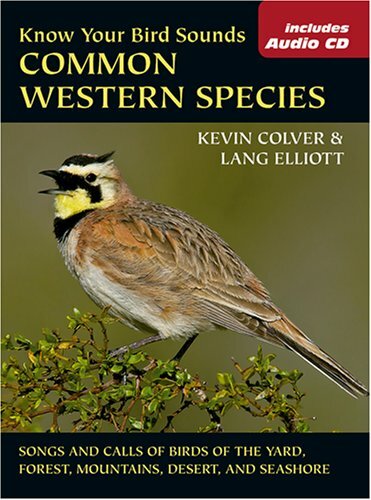 A friend gave me Elliott and Read's Common Birds and Their Songs (Book and Audio CD). In contrast to "Bird Song Ear Training Guide" this disk provides a variety of lengthy songs/calls for each bird.It pretty thoroughly covers 50 of the most common birds.It also comes with a glossy softcover book with great pictures and informative one page write-ups.I have a few problems with this disk.First, the bird is identified before each call, so it's hard to test yourself.Second, I'm sure Lang Elliott is a very nice man, but he doesn't have the most sonorous voice.Finally, the audio CD does not provide any mnemonics and there are only a few in the book. Another friend gave me Elliott's "Know Your Bird Sounds" Volume 1, featured above. This is similar to "Common Birds and Their Songs" but only covers 35 birds (as opposed to 50) although some are not included in "Common Birds. "It also comes with a book with nice photographs but has less information on the birds and just focuses on describing their songs.The CD includes more information on the bird song than "Common Birds" (Elliott essentially reads the book) but has the same drawbacks; mainly, it identifies the bird before the song. Having read that it greatly helps to simultaneously see and hear a bird singing its song, I purchased Feith's DVD Birds, Birds, Birds! An Indoor Birdwatching Field Trip DVD Video Bird and Bird Song Guide. This was a disappointment.In general it is the "Bird Song Ear Training Guide" CD (see above) matched up with still photographs and occasional video footage of the appropriate bird.It includes about a dozen more birds than the CD and can be arranged by "sound alikes" and set up to give one a quiz, but the drawbacks that undercut the CD - the brevity of the songs and lack of diversity of calls per bird - undercut the DVD. Having made progress but still unsatisfied, I finally broke down and bought Birding by Ear: Eastern and Central North America (Peterson Field Guides(R)) (3 CD set).It is a nice combination of lots of birds (about 100) with a long and diverse set of song/calls for each.The birds are also categorized by the similarity of song, which I found a helpful learning device.It comes with a paper pamphlet giving a very short description of each bird and a nice list of mnemonics at the back.The CD gives a fair amount of information along with the songs and is easy to listen to.The biggest drawbacks are the birds are identified before the song (although there are a few short quizzes during the narration) and the clips go on for so long, due to the narration and groupings, that you can't really use them to download on an iPod and test yourself.I guess nothing is perfect. One thing that surprised me when I first began identifying birds was the variety of songs one type of bird can have. Most bird CDs and software include a limited track of sound, which generally covers only one or two calls.Both Volume 1 (shown here) & Volume 2 (purchased separately) are very useful since they cover the birds you're most likely to hear in depth.You may have trouble identifying birds by their songs and calls unless you know there are several possibilities for each type.Conversely, you may think you're hearing multiple species when the various songs are all coming from one type.The Carolina Wren, for example, has a whole language of different calls; it's the cadence and volume that give it away. 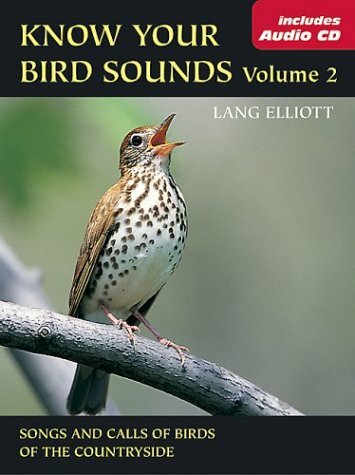 This CD is great for teaching you not only a variety of sounds for a species, but usually includes the common pneumonic that will help you remember--like 'drink your tea' for the Towhee (Volume 2).This has helped my grandchildren too and they thoroughly enjoy identifying a bird when they hear it. Now, that said, once you've gotten some experience, you will want to come back to this CD to pick up more information about less common calls so you can understand a bit more about what's going on in your bird community.This CD and Volume 2 are like Rosetta Stone for bird language. 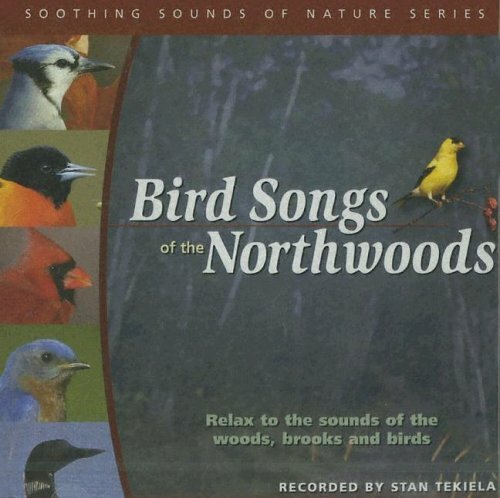 As a novice to identifying birds by their songs and calls, I found this CD be exactly what I needed. When buying the item I was really mostly interested in the audio disk. 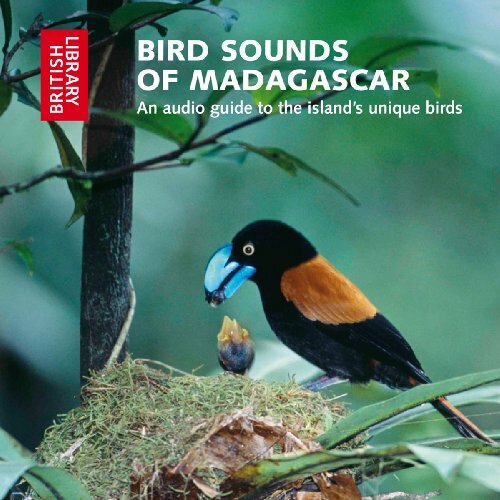 This contains the songs as well as various calls for the common birds in the Eastern Region, and already I'm finding that I'm using the calls I've learned more than the songs to identify birds in my neighbourhood (at least at this time of year). While I initially was concerned that the number of birds the CD covers might be limited, I'm finding that learning even this number of birds is quite challenging for a novice, and a greater number of birds would probably have just confused me at this point. So while not comprehensive in terms of species, it is more detailed for each species, and I can identify most of the birds I encounter quite well. The book contains a photo of each bird and a description of the sounds it makes and when they are made, which is proving surprisingly useful since associating a "pronounciation" of the sounds seems so far an effective aid for learning the calls. Once I master volume 1 and 2, I will probably purchase a more comprehensive collection of songs, but for now I"m more than happy with this.